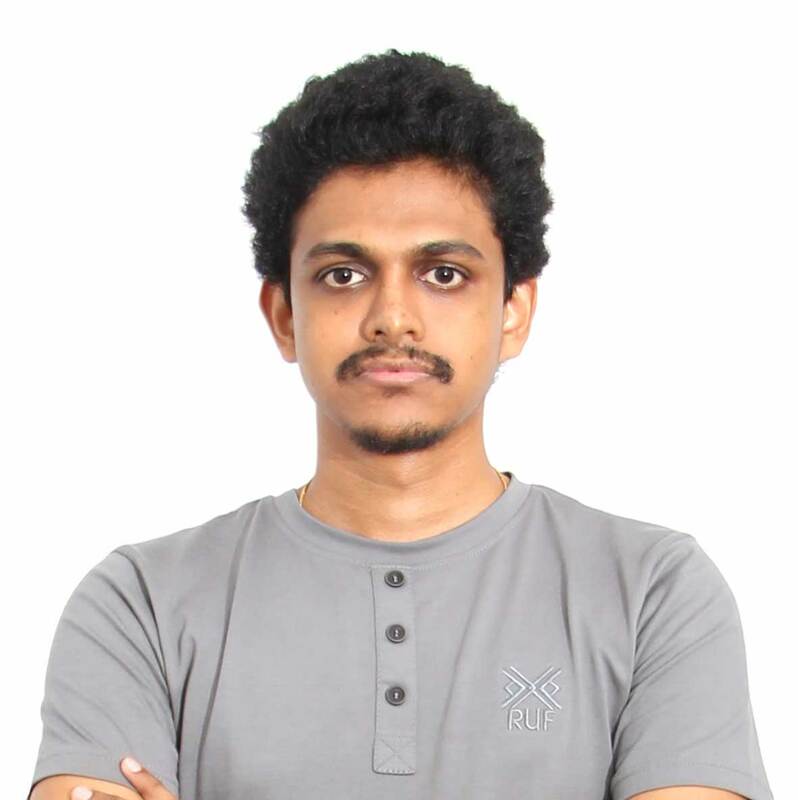 I am a Computer Engineer, graduated from Department of Computer Science & Engineering, University of Moratuwa, Sri Lanka. I love coding since my childhood & I am curious about the cutting edge technologies that are related to the software engineering domain. Currently I am working at Adroitlogic as an Associate Technical Lead. 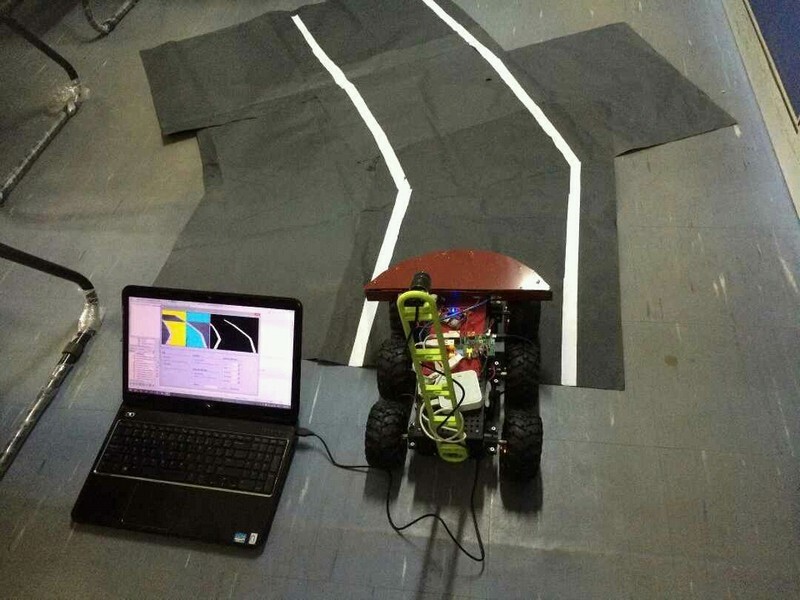 Designed and developed a car that has the ability to avoid the obstacles and travel on the road by detecting the lanes. Lane detection comprises of three different algorithms that suite three different road conditions. Seeds is a social network that can be accessed by anyone having a sms and USSD enabled phone. User can plant a seed (which is like a tweet) at a location and travelers or anyone who is within 5km can read those seeds. Users can water (Similar to like) other’s seeds, if they are useful at that location so that plant will be alive. Seeds that don’t get enough water will die eventually. 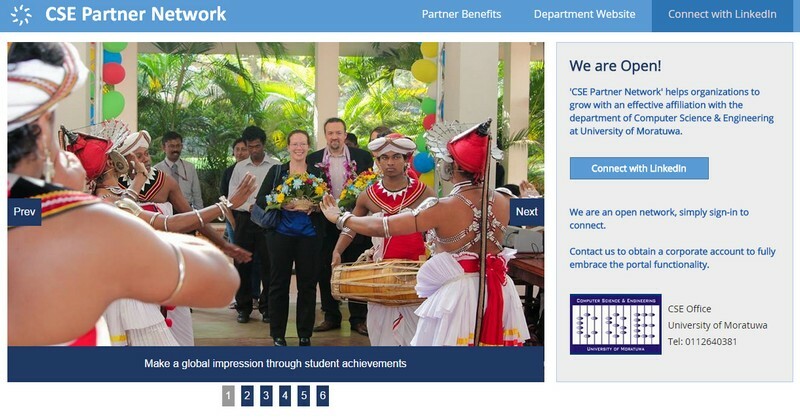 'CSE Partner Network' helps organizations to grow with an effective affiliation with the department of Computer Science & Engineering at University of Moratuwa. SMS based automated live score board. Developed a SMS based platform where game coordinators can update the scores of the competed teams instantly. 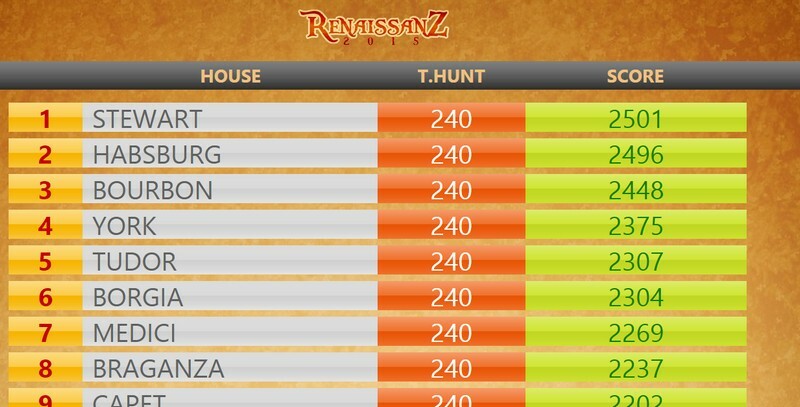 These scores will be real-time updated in a live score board and teams will be ranked accordingly. Parallel to this this system, an application was developed to handle the treasure hunt of the OutboundZ event via sms. Sense is a WiFi enabled wearable device (a hand band) which is always connected to the user’s facebook account. This device has the ability to match people based on their likes, interests and recent activities. 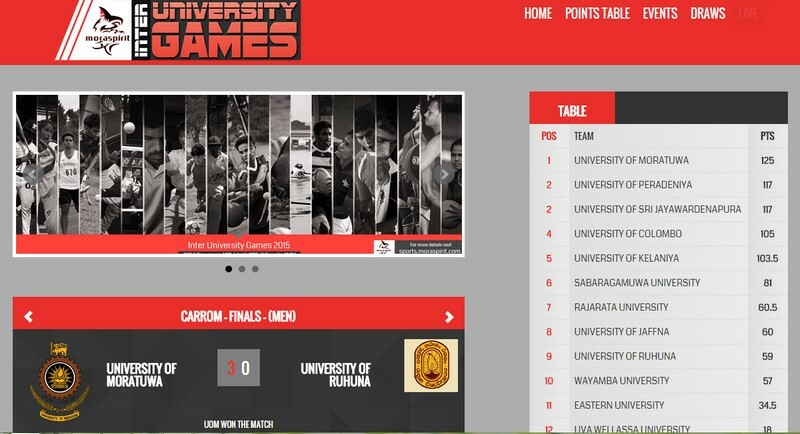 Developed the first website in Sri Lanka that is dedicated to broadcast live score updates of Inter University games. 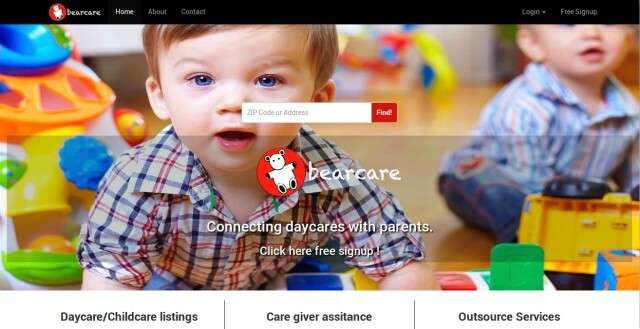 This web site also includes a live streaming facilities as well as live mobile alerts sending (sms) facilities. 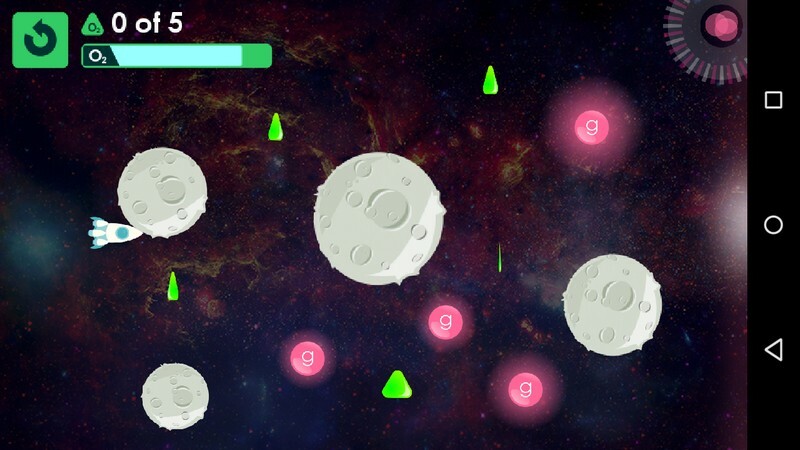 An android game where player have to use the concepts of gravity to move a space ship without hitting the obstacles. An android application for, ‘E tution manager’ which is an off the shelf product developed by nanosoft technologies. 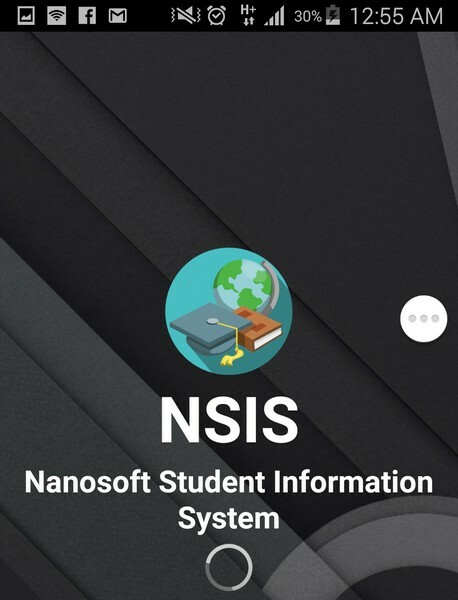 Application is coupled with a barcode reader to read the student identity cards and app brings most of the functionalities provided by the desktop application to the mobile device. 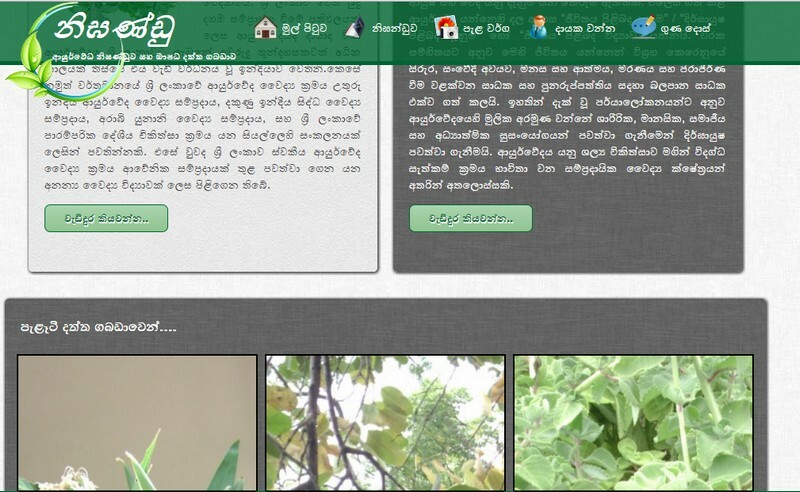 A dictionary & herbs database for Sinhala Aurvedhic Medicine where the user can search the dictionary either in Sinhala or phonetic. 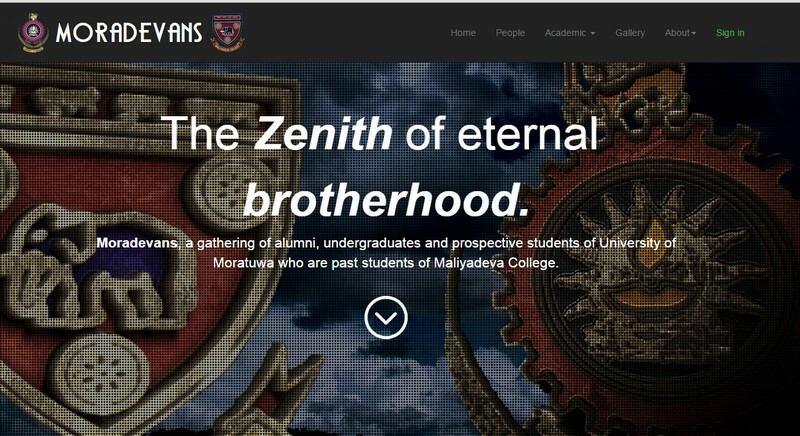 Official web portal for moradevans community which includes a forum, a contacts book, members management, member profiles and image galleries. A management system including a re-usable accounting package, which can be used in hotels or restaurants to manage tables, orders, room bookings, salary payments etc. Developed "Suraksha", an open source disaster response platform. IEEEXtreme is a algorithmic global hackathon which is organized by IEEE. ACES coders is a 12 hours programming competition which organized by Department of Compueter Engineering, University of Peradeniya. 36 hours hackathon which was organized by mobitel in parallel with the biggest IT event of Sri Lanka Google I/O Extended. The theme of the hackathon was IoT. 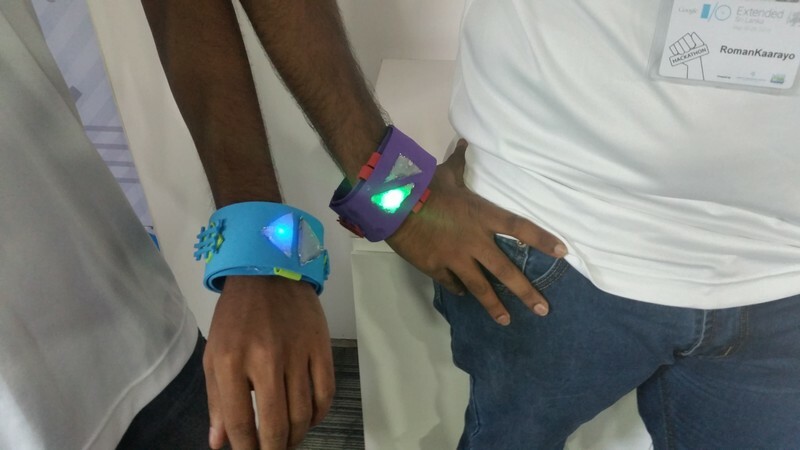 We, team romankaaryo developed a smart band called Sense which has the ability to connect people based on their likes, interests and recent activities. 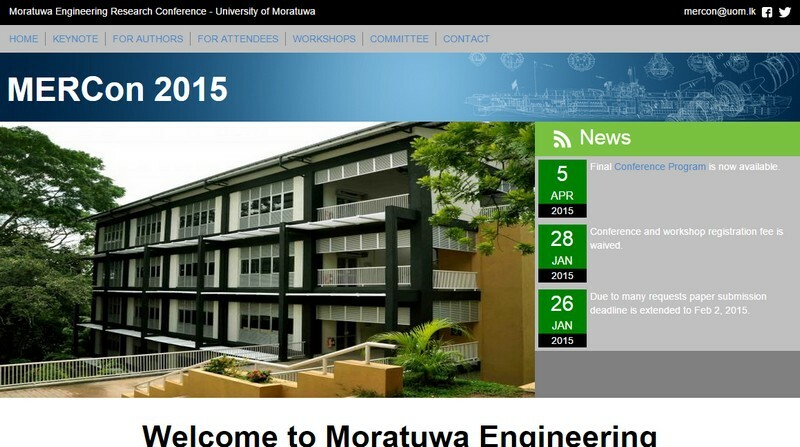 Fugosticka is a mobile game developement competition organized by AIESEC, Univeristy of Moratuwa. We developed Gravitron Quest a game which is based on the concepts of gravitational acceleration. Ideamart Hackathon - Code Ultimatum 2014 is the signature hackathon/coding competition of Dialog Ideamart, It was held on 28th & 29th of November 2014 at Rooftop, Premier Pacific Pinnacle, Colombo 04 from 5.00 pm. We developed Seeds a location based social network that can be used by anyone who has a GSM mobile phone. 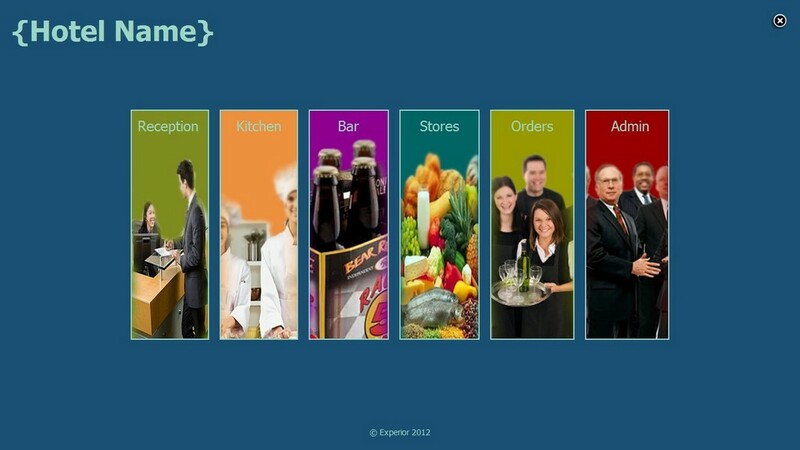 Thineth Software Solutions (Pvt) Ltd.